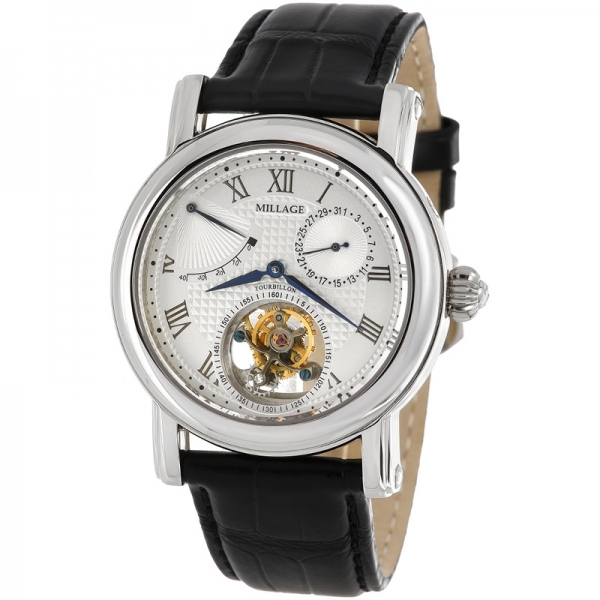 MILLAGE, INC. is seeking eager and passionate individuals to maintain our commitment as one of the most recognized and influential names in the timepieces industry. MILLAGE maintains high service standards by hiring bright, energetic sales associates and promoting strategically from within. The continued dedication and commitment of our employees is the driving force behind MILLAGE. Our talented professionals lead the company with a vision of success. Bring your own vision to life by joining the team at MILLAGE. Corporate Careers are available in our Los Angeles office. Accounting and Finance departments oversee the financial management of the MILLAGE corporate office. This includes general accounting, accounts payable, accounts receivable, financial management, and import accounting. Accounting/Finance positions are based in Los Angeles. 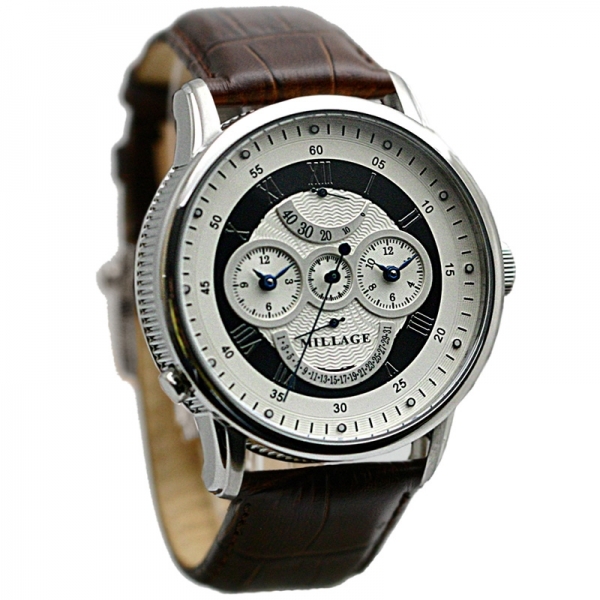 Advertising is the creative producer of our global image and helps generate demand for MILLAGE timepieces and products. Various communication mediums are used to maintain the MILLAGE, Inc. image. Advertising conducts the photo shoots for print advertisements, oversees the production of television commercials, and develops Internet advertising. Advertising creates the graphics for our catalogs, journals, brochures, etc. The Advertising department also handles sponsorships of celebrities, planning entertainment venues, and assisting with events. Positions in Advertising are based in Los Angeles. The Design department creates MILLAGE' fashion-forward styles. Design handles MILLAGE Collection. Designers create styles for men's and ladies timepieces, dial style, crystal style, band type and style, case style and the watch material. For each of these divisions. Innovative and fashion savvy individuals in the Design team envision MILLAGE, Inc. styles and create the beginning of a MILLAGE timepiece. The designers set the company's image and design timepieces that are sold in our worldwide authorized MILLAGE dealer stores. Design positions are based in Los Angeles. MILLAGE Distribution Center is located in LOS ANGELES, CLIFORNIA. The Distribution Center services authorized MILLAGE dealer retail stores and in-several MILLAGE authorized department stores. The Distribution Center is responsible for warehousing and shipping products to the authorized MILLAGE dealers retail stores and in- several MILLAGES authorized department stores. Store divisions, quality control, and forecasting the future needs of each store/in-store location, in addition to working with the MILLAGE merchandising department to allocate merchandise accordingly. E-Commerce creates and maintains the MILLAGE.com, MILLAGEINC.com, MILLAGE.net website. E-Commerce positions involve a variety of duties --design, copywriting, programming, marketing, and online management. E- Commerce creates original text and graphics, lists product information, researches new technologies, tracks sales, generates marketing materials for contests and promotions, and provides overall company history and culture within the MILLAGE website. E-Commerce positions are based in Los Angeles. Human Resources is responsible for employee relations, compensation and payroll, benefits, and human resource information systems. Human Resources positions are located in Los Angeles. The Legal department oversees all corporate and legal issues including licensing agreements and contracts, trademark agreements, human resource relations, domestic and international contracts, litigation, and real estate contracts. Legal positions are located in Los Angeles. Licensing is responsible for products that carry the MILLAGE, Inc. label, not exclusively produced by the MILLAGE Production department. Domestic and international manufacturers and retailers who want to license the MILLAGE, Inc. brand name for their products must get approval through Licensing. Products from various companies around the world are sent to our Licensing department. Licensing works together with merchandising department to select and approve the quality and image of the final product. Licensing positions are located in Los Angeles. 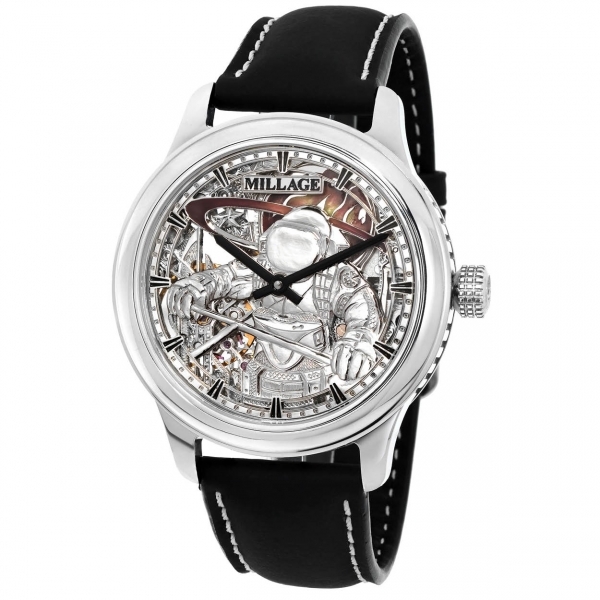 Merchandising involves the creative and analytical placement of MILLAGE timepieces. By studying consumer behavior and merchandise sales, Merchandising strategically places products in authorized MILLAGE dealer retail stores and in-several MILLAGES authorized department stores to maximize profitability. Merchandising is responsible for ensuring all authorized MILLAGE dealers shop and visual standards are met in a specified territory. Positions are available in various locations through the United States. Management Information Systems (computer and internet) is responsible for the broad range of technical support and services. Computer and Internet involve technical troubleshooting, configuring hardware, programming, and maintaining our competitive edge by researching new software and hardware technology. Computer and Internet positions are based in Los Angeles. Pre-Production brings MILLAGE timepieces to life. After Design has created an idea of a MILLAGE timepice, Pre- Production turns the idea into a tangible item. 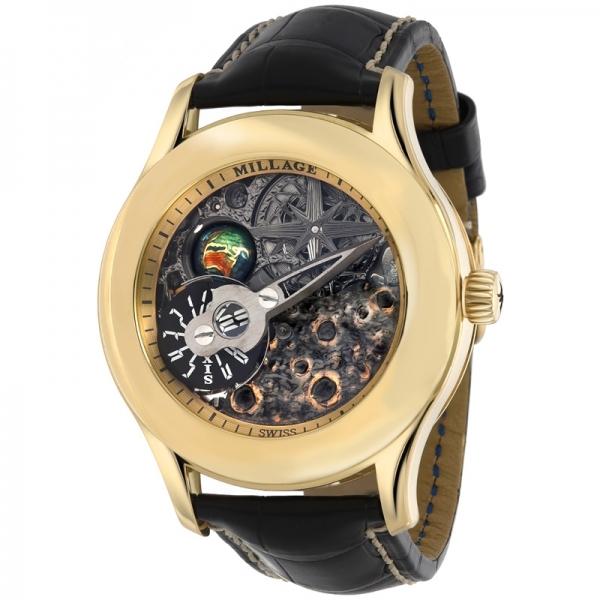 To make a tangible item, Pre-Production analyzes the cost of the MILLAGE timepice construction, writes specification sheets, produces patterns for construction, fit timepieces (watches) and produces samples. Samples of timepieces (watches) are then sent to Production for manufacturing. Pre-Production positions are based in Los Angeles. Production is responsible for timepieces (watches) manufacturing. The Production department sources the best, most efficient manufacturers to produce our timepieces. Production encompasses various responsibilities including: preamble samples, tracking samples and timepieces (watches) that outside manufacturers develop, marking and grading, and material purchasing. Production positions are based in Los Angeles. Public Relations maintains the MILLAGE, Inc. image for our customers. Public Relations is responsible for all financial releases, press releases, statements, and editorial publications released by MILLAGE, Inc. 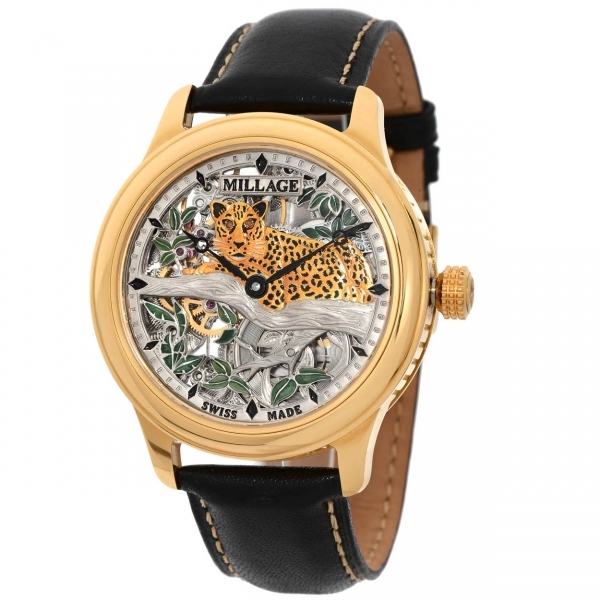 The PR department works closely with magazine and newspaper editors from top fashion, consumer and trade publications to keep them in touch with the seasonal collections from MILLAGE timepieces. In addition, the Public Relations department researches and executes wardrobe opportunities for television shows, musicians, independent films, and major motion pictures. Corporate special events and promotions are also handled by Public Relations. Public Relations positions are based in LOS ANGELES. Real Estate and Construction locates properties in good locations for MILLAGE OFFICALL stores and locate commercial buildings for MILLAGE office works. Real Estate and Construction consists of Store Design and Shop Development. Real state and construction consist of trade shows, fashion shows and any MILLAGE, INC events design and set up. Store Design locates property for construction of new MILLAGE OFFICIAL stores and remodels. Shop Development involves setting up MILLAGE, INC section in department stores. Recruiting sources and selects candidates to fill positions in the corporate office Recruiting positions are located in Los Angeles. MILLAGE, Inc. Sales staff Distributes MILLAGE timepieces to our partner retailers. Purchasers include large department store chains, large jewelry chain stores, specialty stores, and jewelry retailers. The sales staff travels to "market" several times per year to sell MILLAGE, Inc. timepieces to Wholesale Buyers. Once relationships are established, the Sales staff must maintain the relationship and continually develop new ones. By maintaining relationships, the Sales staff analyzes trends of the market, sales of products in each account, and forecasts future sales. To develop new relationships, the Sales staff researches prospective accounts, plans future strategies, and analyzes consumer needs. Candidates must have solid relationships with upscale jewelry and watch accounts Sales positions are located in Los Angeles, and available in select territories. Visual Merchandising creates the atmosphere of the authorized MILLAGE dealer stores. Visual Merchandisers develop layouts for timepieces to maximize profit and create a pleasant in-store experience. They create new presentations, change window displays, and set the theme for the store's look and feel. Visual Merchandising positions are located in Los Angeles.